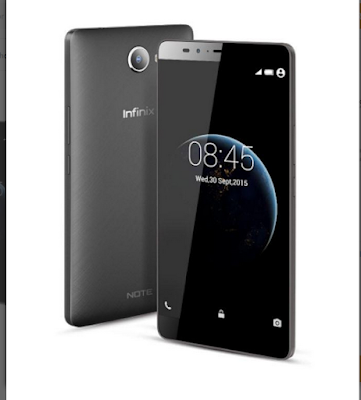 The Infinix Note 2 is the successor of the Infinix Hot Note that was released in the first quarter of 2015 by Infinix Mobility makers of the popular quality and affordable smartphones that people have come to reckon with in Nigeria and the Middle East. The Infinix Note 2 X600 features a 6 inches HD display screen, a 13 MP back camera, a 2MP front camera for cool selfies and video calling, a 1GB RAM and16GB ROM for saving your pictures, videos and other multimedia files. The Infinix Note 2 uses the user-friendly Android 5.1 Lollipop OS and the battery life is fantastic with its 4040mAh Lithium-ion polymer battery with super fast charging system. The Infinix Note is made to fully charge within One (1) hour and according to its manufacturers, last for two days. 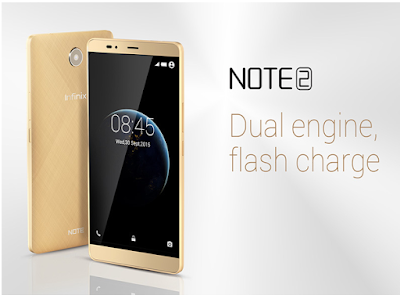 Find other features of the Infinix Note 2 below. Please, am seriously not happy, I bought infinx note 2 x600, the phone is so fake, the battery is removable, it's very slow to access internet, both the back and from camera is very poor and the battery is not even strong, the phone didn't come with memory card, the storage is very low, can't even save anything inside the phone, and when I try to return it, they refused to change it for me, it's so annoying. Based on what you've said, there are indications that you might have gotten a FAKE Infinix phone.